OSV Newsweekly: OSV Newsweekly serves Catholics at all stages of life as they walk the road of faith. Through thoughtful analysis, faith-filled commentary and inspiring stories, we provide clear answers to the questions people are asking. L’Osservatore Romano is the newspaper of record for the Holy See. It offers an inside look at the Vatican as well as the Holy Father. Subscribe today, and you can stay up-to-date with the Church – at home and in Rome. Deepen your faith, expand your knowledge, explore our Catholic world with the magazines of Our Sunday Visitor. Take Out: Family Faith on the Go: Simplifies and celebrates family life with the help of our Catholic Faith. Catholic activities, spiritual support and family fun in each of its 10 yearly issues. The Priest: The Priest is a monthly magazine produced with the needs and interests of priests and deacons in mind. Each issue contains homily backgrounds, columnists and features relevant to pastoral life. Deacon Digest: Deacon Digest is a bimonthly magazine serving the spiritual, human, intellectual and pastoral needs of permanent deacons and their families as they, in turn, serve the Catholic Church. 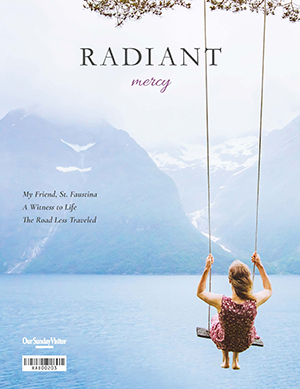 Radiant: Radiant is a quarterly magazine for young Catholic women that spreads the beauty, truth and goodness of Christ and His Church. With stories that uplift, inform and inspire, Radiant helps women grow in virtue and holiness with style, joy and grace. 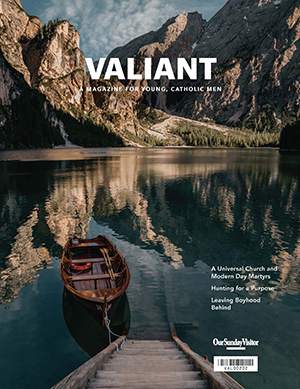 Valiant: Valiant Magazine is a semi-annual Catholic periodical for young men from all walks of life who are not afraid to live out their calling with courage, strength and conviction.